Once students complete their online 10-year plans in 9th grade, targeted classroom-based lessons in the 10th, 11th, and 12th grades ensure students stay focused on their goals. These three 16-lesson modules provide students with a "touch-point" in each year of high school to help them transition seamlessly to their post-secondary goal. 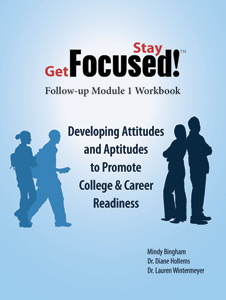 Each workbook comes with access to an online Get Focused...Stay Focused! planning area, so students begin their work in their consumable workbook and then complete their work online in an interactive area of My10yearPlan.com. This sophisticated hybrid-course provides the technological skills to assure students are ready to take advantage of technology advancements in learning. Create student awareness of the need to work hard in English and math and learn to plan and set goals throughout high school. 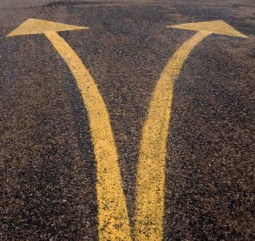 Inform students about career pathways and help guide them with course/academy choices that match their aptitudes, career goals and lifestyle plans. Students will be more likely to complete their academy work and transition to an appropriate post-secondary institution with this more intense support. Allow students to do a "self-check" of their status and update their career and educational plan throughout high school. Provide community college and K-12 educators and administrators the opportunity to collaborate closely in aligning curriculum. 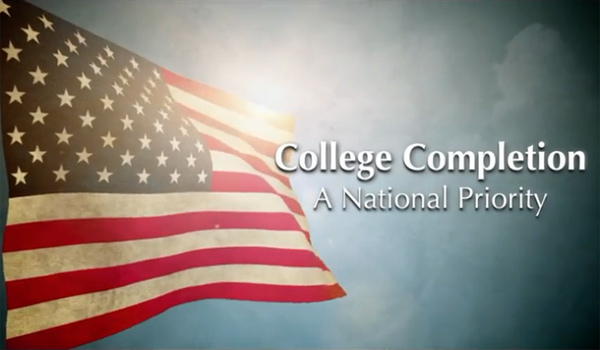 The optional Dual Enrollment model of SBCC can be replicated within other systems.